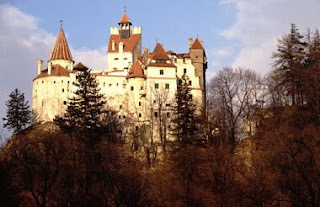 While Dracula lived in this castle in Bram Stoker's famous novel Dracula, I am sadden to make an announcement. Dracula: He is not a real person. The real Dracula went by the name of Vlad Tepes, and he was born in Transylvania. No he didn't drink blood, but he id have a very interesting history.